Aluminium honeycomb for Automotive & Road Vehicles: Corex aluminium honeycomb is suitable for use in a variety of automotive applications including cars, military vehicles, buses, commercial vehicles and Motorsports, including Formula 1 and touring cars. Typically, within this sector, our aluminium honeycomb is applied to interior and body panels, spoilers, floors, chassis components, wings, diffusers and energy absorbers. Its lightweight capabilities and high strength reduces the vehicle weight and fuel consumption, which enhances performance whilst enabling the chassis to retain its strength and rigidity. Corex Honeycomb also manufacture ‘SuperFlex’, our flexible aluminium honeycomb which has excellent formability and is easier to use around shaped surfaces. As a sponsor of Formula Student for many years we have supported various university racing teams, including Bath, Cambridge, and Coventry, UK and Wisconsin (USA). The team we currently sponsor is Oxford Brookes Racing, who use Corex aluminium honeycomb in the chassis of their racing car. We will be sponsoring them again for 2018/19, when they intend to build a Class 1 combustion and for the first time in OBR history, a Class 2 electric car. It will be interesting to see the difference between the combustion and electric vehicles, in their build and performance. This follows on from their great performance at Formula Student 2018, Silverstone, where they were Class 1 runners up out of 82 teams, the best performing UK team! They had great results in all categories: 2nd Design, 2nd Skid pad, 3rd Endurance, 4th Cost & Manufacturing and 5th Efficiency. In Formula Student Austria they finished 12th overall out of 30 teams, with a 2nd Skid pad and 3rd Business. 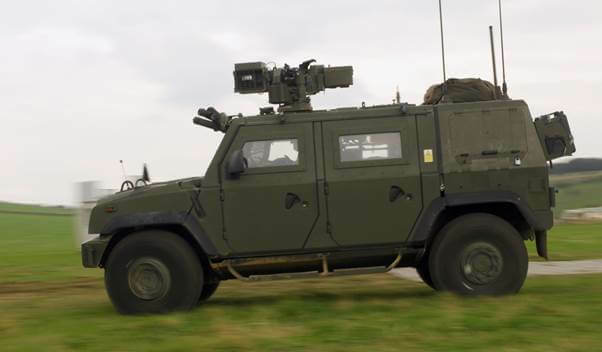 Our aluminium honeycomb is also used in military vehicles, like the ‘Panther Command Vehicle, shown, and others that incorporate Active Mine Protection technologies. Its main use is in the flooring to improve the energy absorption whilst adding minimal weight. We have worked with Advanced Blast and Ballistic Systems (ABBS) who have developed systems for protecting armoured vehicles from mine and Improvised Explosive Devises blasts. 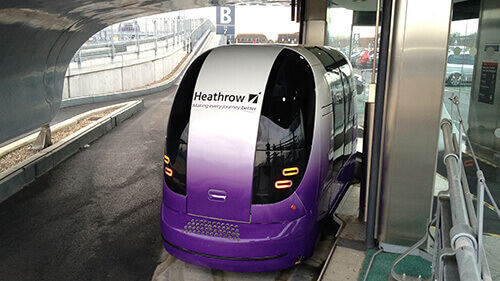 We have also worked on the Heathrow Rapid Transit Pod project with TRB Lightweight Structures; this is an ultra -lightweight, electric, unmanned vehicle which transports people from the business car park to Terminal 5, via a guide way. The chassis and the floor of the pod are made of composite panels that contain aluminium honeycomb, which result in a strong, lightweight structure. Corex Honeycomb distributes Tubus Waben polypropylene honeycomb, which is an ideal alternative component for any lightweight assembly. One benefit is that traditional honeycomb is assembled from hexagonal shapes but Tubus Waben manufacturers polypropylene honeycomb with circular cells, which can accept forces from various directions and still maintain their shape, this results in high strength but extremely low weight. The acoustic level in the interior of vehicles can also be optimised. These qualities makes it suitable for Commercial vehicle construction and Automotive applications. 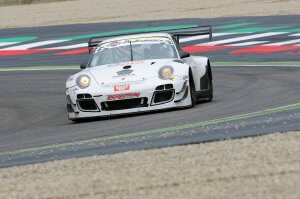 Corex Honeycomb will be attending Composites in Motorsports in October 2019, read more here.